NACHA and Receivable Savvy Outline How to Quickly Reduce DSO by 20% With ACH Payment and Full Remittance | Company Newsroom of Receivable Savvy, Inc.
Receivable Savvy helps Finance and Accounting professionals master the complex Order-to-Cash process and maximize revenue for their organizations through proprietary research, best practice content and insight from subject matter experts. Complimentary webinar shows organizations how to successfully receive data and dollars together with ACH payment. ATLANTA, October 2, 2018	(Newswire.com) - One of the perceived challenges companies face when accepting electronic payment, specifically via ACH, is the retrieval of remittance data in a way that is easily secured, properly formatted, and usable to streamline cash application and reduce DSO. To address these perceived challenges and map out methods that ensure data and dollars are provided together, Robert Unger, senior director with NACHA, the Electronic Payments Association, is joining Receivable Savvy on Tuesday, Oct. 30 at 2:00 p.m. EST for a complimentary webinar: How ACH Payment and Full Remittance Can Quickly Reduce DSO by 20%. Key checklist supplier organizations can use to transition fully to ACH payment receipt. Receivable Savvy helps supplier organizations master the Accounts Receivable and Order-to-Cash process by maximizing revenue through proprietary research, best practice content and insight from subject matter experts. Founded in 2015, the Receivable Savvy mission is to cultivate knowledge and understanding among suppliers while also delving into their habits, practices and preferences. Comprised of industry veterans, Receivable Savvy strives to be the primary source of financial supply chain information for Accounts Receivable professionals focused on key elements of the Order-to-Cash process. 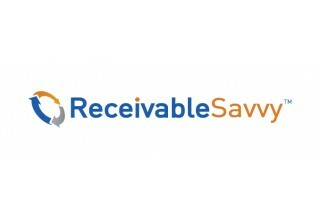 Receivable Savvy helps its members understand issues around customer master data, order management, credit management, invoicing, accounts receivable, payment, collections management, invoice financing and cash application. For more information, visit https://www.receivablesavvy.com. 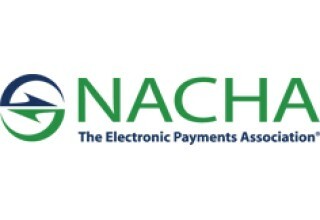 NACHA (www.nacha.org) is a nonprofit organization that convenes hundreds of diverse organizations to enhance and enable electronic payments and financial data exchange within the U.S. and across geographies. Through development of rules, standards, governance, education, advocacy, and in support of innovation, NACHA’s efforts benefit the providers and users of those systems. NACHA leads groups focused on API standardization, authors the Quest Operating Rules for EBT, and is the steward of the ACH Network, a payment system that universally connects all U.S. bank accounts and facilitates the movement of money and information. In 2017, there was a total of nearly 26 billion ACH transactions. Of these, 21.5 billion ACH payments valued at $47 trillion moved across the ACH Network, and more than 4 billion were on-us transactions within financial institutions. Sign up for email updates from Receivable Savvy, Inc..